Be Amazed and Rise Above with the All New Samsung Galaxy A Series 2016. 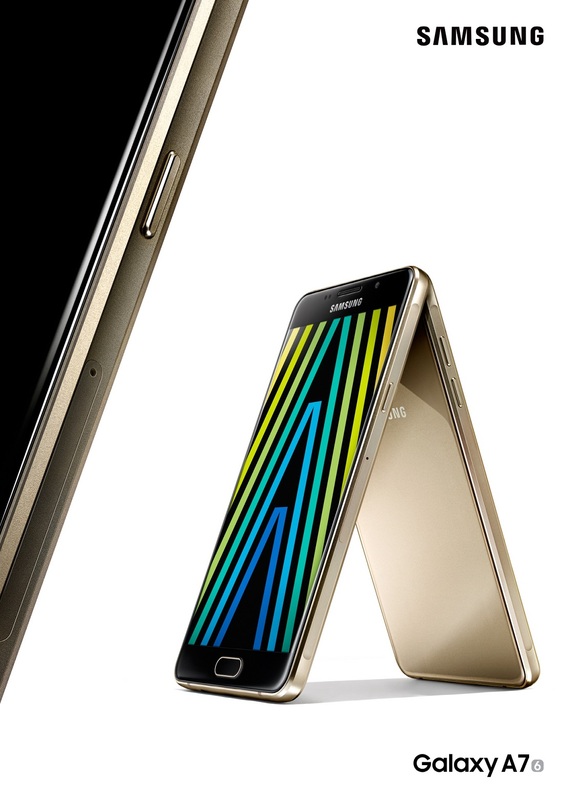 Read on to know more why the 2016 Galaxy A5 & A7 are ahead of the game. How would a typical Filipino spend his budget wisely in choosing a reliable smartphone these days? When choosing a smartphone, aesthetics play as much value as features. It should be able to do all the things you would expect a smartphone to do while looking good on the job—and even better if you can get it at a great price. The first brand that comes to mind? Samsung—specifically their Galaxy A Series, where everything you love about their flagship smartphones are translated into a more accessible but equally stylish and powerful device that rises above its competitors. Earlier this year, the Galaxy A5 (2016) was introduced, and now the latest addition to this line—the Galaxy A7 (2016). Samsung is no stranger to design innovation. The brand is known to rise above in design aesthetics, and their capability of building that design around a powerful and highly capable device. It’s not surprising therefore that this continues to demonstrate itself in the Galaxy A Series. Taking design cues from Samsung’s flagship line, the Galaxy A Series (2016) adds style to your life with an all new sleek, metal and glass design that showcases a youthful and premium vibe. The slim design fits comfortably and perfectly borders the Galaxy A7’s FHD 5.5-inch Super AMOLED display, while the Galaxy A5 has a slightly smaller 5.2-inch screen. Complementing the luxurious feel of the smartphones is the confidence that the Galaxy A Series’ sturdy build can easily keep up and even rise above with the fast-paced lifestyles of its users. The screen is made of durable Gorilla Glass 4, so no need to worry about nicks and scratches. What use is a great looking smartphone—which you have to carry around and use everyday—if it’s not good enough to keep up with your needs? This goes beyond basic communication capabilities, because while it is important, your smartphone should help you rise above every situation. The smartphone market is so competitive that brands would do anything to capture the market’s attention. Why anyone would want a smartphone with limited screen size, lower resolution, and poor quality camera, no one would know. But with Samsung’s Galaxy A Series, there’s no need to compromise to subpar features and inferior hardware. For starters, the camera has a Quick Launch feature that allows you to turn it on in just 0.7 seconds so you can capture moments as they happen. Easily take clear and crisp photos with a 13MP rear and 5MP front camera, F1.9 lens and Optical Image Stabilization. So whether you’re shooting in low light, taking a panoramic shot, or just want to snap a quick Selfie, the Galaxy A Series will make sure your photos rise above. The Galaxy A Series (2016) is powered by an Octa Core 1.6GHz processor for topnotch performance. For added security, both models have the fingerprint scanner so you can unlock your device by just a touch of a fingertip. It is also LTE Cat6 for fast downloading and uploading of high-quality videos and files. For those who have a lot of friends and a lot of content, the Galaxy A Series is Dual SIM hybrid with an expandable memory of up to 128GB so you don’t need to worry about not having enough memory space. And to make the most out of all these features, Samsung made sure that both devices come with equally powerful fast-charging batteries, which goes from 0 to 100% in just 110 minutes. The Galaxy A7 and the Galaxy A5 are backed with 3,300mAH and 2,900mAh batteries respectively, allowing for extended, heavy usage. The Galaxy A Series (2016) will surely help you rise above your tasks with its powerful and highly efficient performance. All in all, the new Galaxy A Series (2016), whether it’s the Galaxy A5 or the Galaxy A7, offer powerful and essential smartphone options that rise above compromise when it comes to quality, functionality, and design. The Galaxy A5 (2016) and the Galaxy A7 (2016) are now available at Samsung Experience Stores. So, with these unmatched features and functionality Samsung Galaxy A series boasts, everyone will really have their money’s worth in the long run.